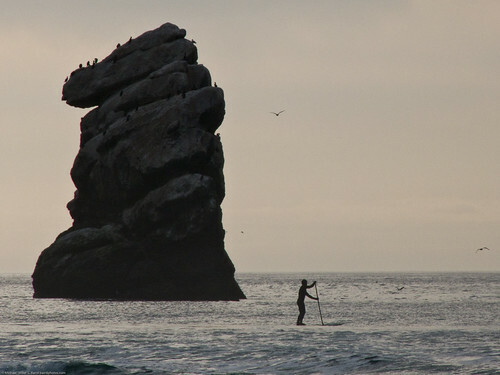 Looks like somebody decided to steal a $1,200 SUP board by renting it from Half Moon Bay Kayak Company in California then calling the Coast Guard with a fake water rescue as a red herring. The rescue effort included a helicopter, several watercraft and a large Coast Guard cutter that was stationed in the Bay Area. Suspicions about the supposed victim, who gave false information to a rental company, have led some to believe the man was never lost at sea, but rather stole the $1,200 paddleboard. "It was calm, it was sunny - people don't just disappear on a day like that," said Chris Manchester, an employee at HMB Kayak. "We're pretty darn sure that he actually stole it."